The interior section of any type of bread that is surrounded by the outer crust. The crumb can be classified as a closed crumb or and open crumb. 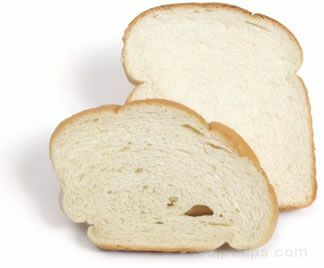 A typical closed crumb bread would contain a tighter consistency in the texture of the bread. A closed crumb provides less air pockets with more dough per square inch than is provided by open crumb breads, such as sourdough that contains more air pockets and less dough per inch. 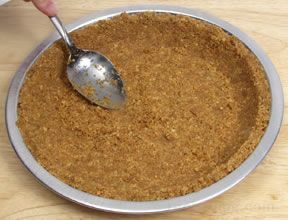 Due to the greater amount of dough per inch, closed crumb breads can absorb more liquids when used in recipes that use or develop moist ingredients, such as some egg dishes. A French bread referred to as brioche is considered to be a closed crumb bread.